Preneur Marketing: The Nametag Guy gives away his 4th book for FREE! For those of you who are regular readers of this blog, you would be familiar with my friend Scott Gisnberg. He's the guy who wears a nametag 24/7 to increase approachability and encourage people to be more friendly. 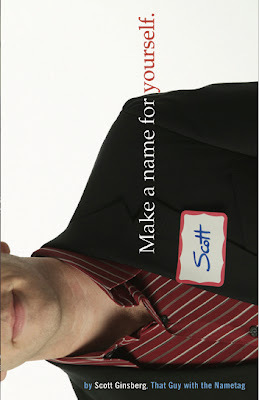 Well Scott released his 4th book yesterday, titled 'Make a name for yourself' and for some reason he is giving it away for FREE. It's available on Amazon to purchase here, but if you check out Scott's blog you can download it in ebook format for free. Seriously make sure you click this link and check the FREE ebook out - It's his best work to date.